Business ownership doesn't come with a play-by-play manual. As a business owner or high-ranking employee, the success of your organization is within your best interests. If your business starts to sink below the profit margin you're aiming for, don't lose hope. There are aspects of your business model that can be finagled with to cut down on costs and loss of profits. Using a professional restructuring consulting firm to handle the logistics of your potential downfall can be the difference between your business sinking or staying afloat. An example of wasted money is through employee loss and retention. More than half of organizations view employee retention as an issue within their organization. 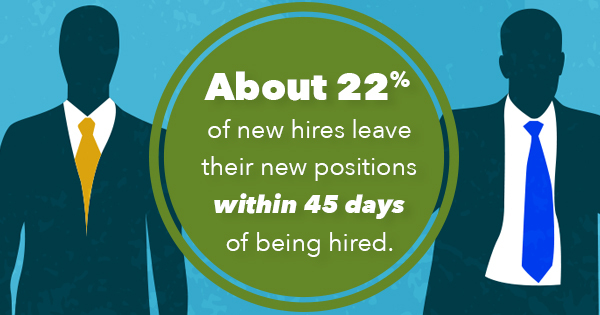 Although the reasons behind leaving vary, about 22% of new hires leave their new positions within 45 days of being hired. Employee turnover can cost the business between 30% and 150% of the employee's salary. By reducing the turnover rate at your organization, you can help cut down your loss of assets. While the process of restructuring within an organization may vary based on the end goals of the business, restructuring includes a significant modification made to the business model that results in a decrease in debt, increase in operations or overall shift in the structure of a company. What is the purpose of restructuring? A company with significant issues with debt, profits, red tape or employee retention will usually enlist the help of a restructuring consulting firm to help with talent acquisition management, a human resources executive search, and outplacement consulting. By helping to guide the business out of harm's way using proven tactics, a restructuring agency can save an organization from going under while also providing a better atmosphere for employees to work in. If your organization or enterprise has fallen upon hard times, don't give up hope. There are professionals dedicated to ensuring the complete success of your company. They will do their best to save your company from the dreaded paths of business ownership: bankruptcy, mergers or buyouts.